On top of our salads, soups, and breadsticks, we also have a delicious selection of vegetarian pizzas that will instantly make you feel satiated. Our Air Jordan is simple and delicious with Roma tomatoes, basil, and garlic. We also have the Two Thumbs Up, which blends mozzarella, provolone, Romano, Swiss, and fontino cheeses. The John Dillinger brings together Pesto, almonds, roasted bell peppers, roasted garlic, and Romano cheese. The Sears Tower pays homage to Chicago with onions, sweet red peppers, zucchini, marinated artichoke hearts, and black olives. 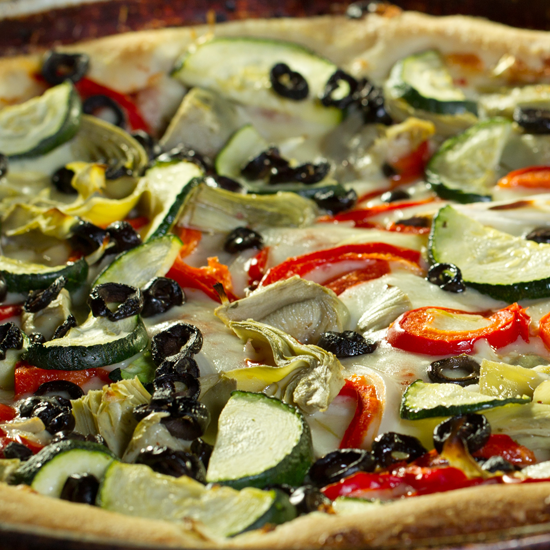 Come to Pizz’a Chicago today to try these and other vegetarian pizzas . Our menu offers the selection you need to order exactly what you want. For more information on our menu or corporate catering options, call (408) 283-9400 or (650 424-9400.